This page covers the two historic counties. Along with a little piece of Yorkshire, which moved to County Durham in 1974. 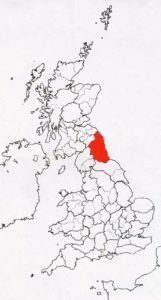 The two counties form part of the Northern tradition. Gables are either of stone, or rolled. Ridges often consist of turf, with straw being common in more arable areas. 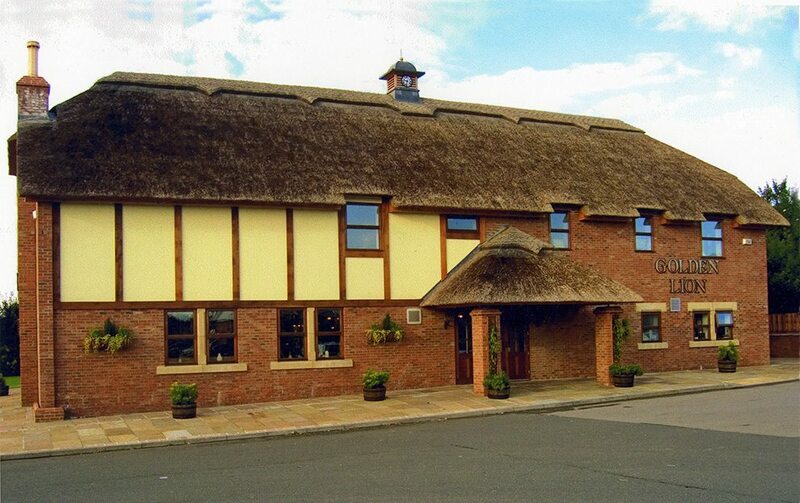 Turf also formed the base for many thatches; which traditionally consisted of heather; or straw of wheat and rye. Heather Thatching… at Thirlwall Castle. Where Northumberland meets Cumberland, on the line of Hadrian’s wall. 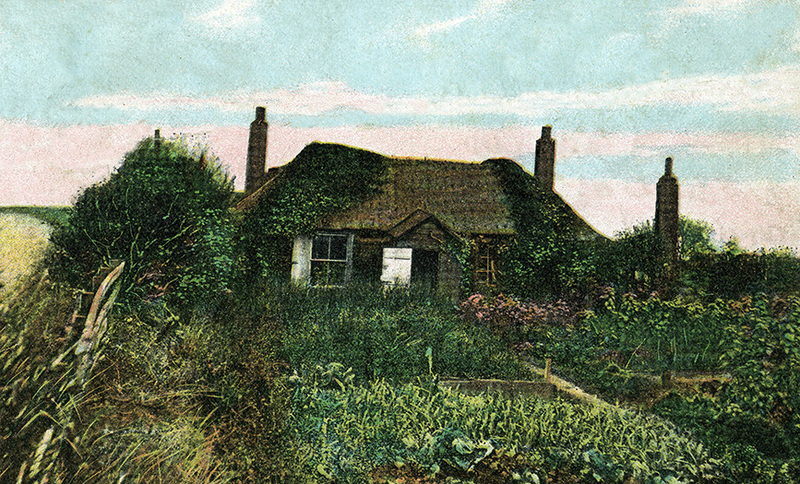 This old print, shows some two hundred year old thatch. It’s dark colour providing a local name. Heather or Black Thack, as it was called hereabouts, was an important resource. Especially in areas where cereal crops were in short supply. 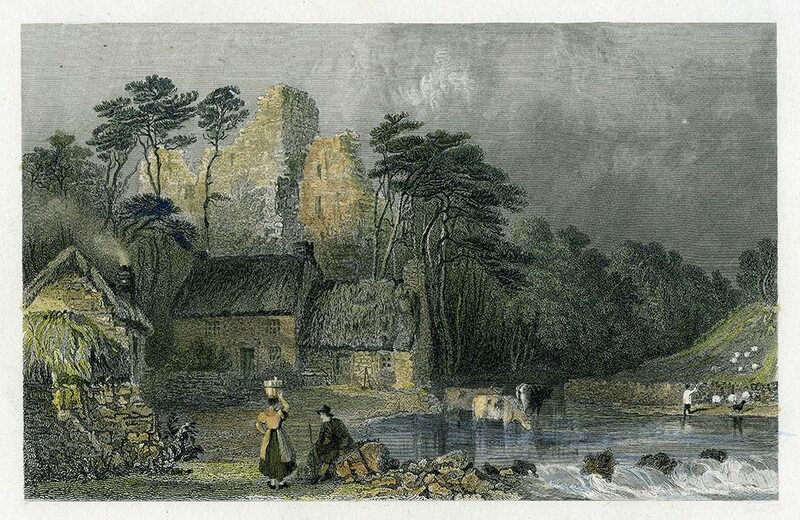 The monastery at Jarrow, paid ten shillings for a hundred travis or thraves of heather, in 1370. Turf, for an undercoat and/ or ridging, was included in a larger purchase, in 1477. 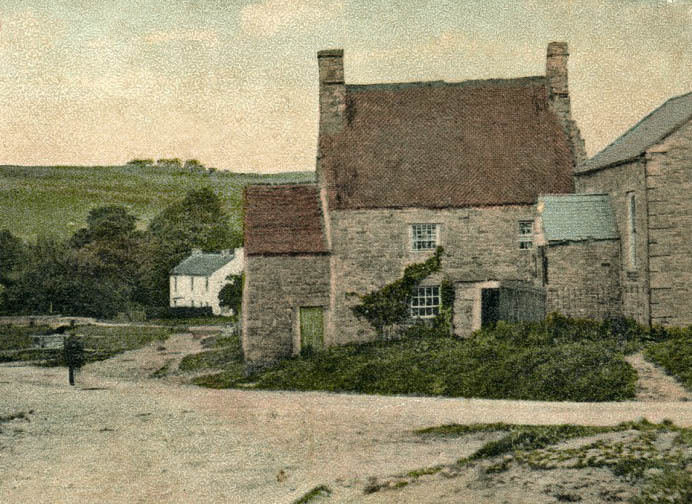 At the end of the eighteenth century, old cottages at Edmundbyers had heather thatch three feet (90cm) thick. No doubt harvested, over time, from nearby Muggleswick common. 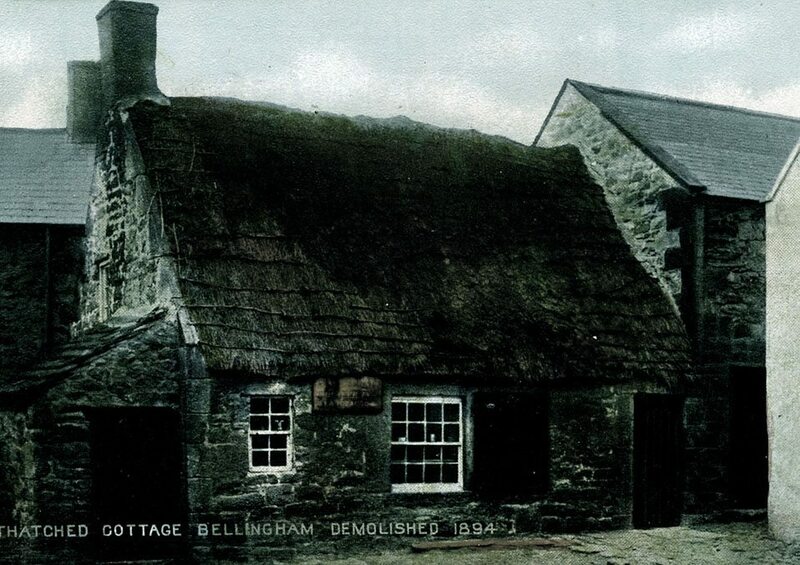 Edmundbyers… This old photo shows the Durham village, still had some thick heather thatching; a century ago. In 1725, the traveller William Stuckley, was unimpressed with the buildings he saw in the area. 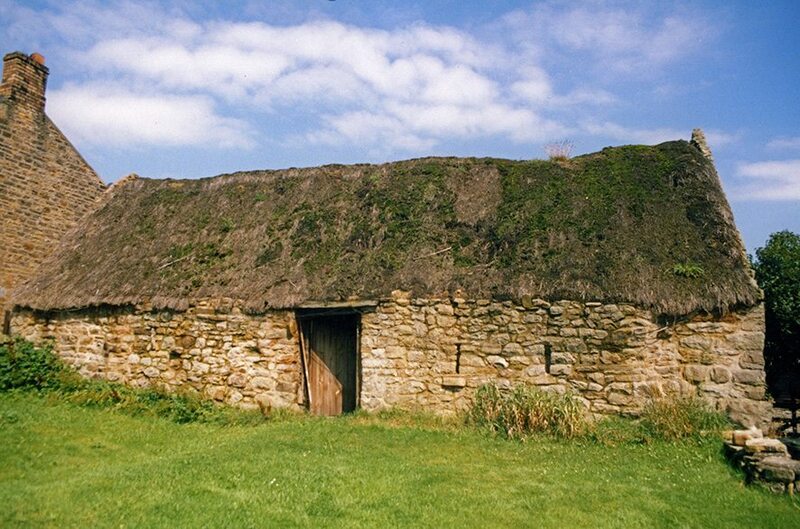 ‘Mean beyond imagination… one storey high… the piles of turf for firing are generally as large and handsome as the houses‘. But in their Agricultural Report, Messrs Bailey and Culley, found things a little better. 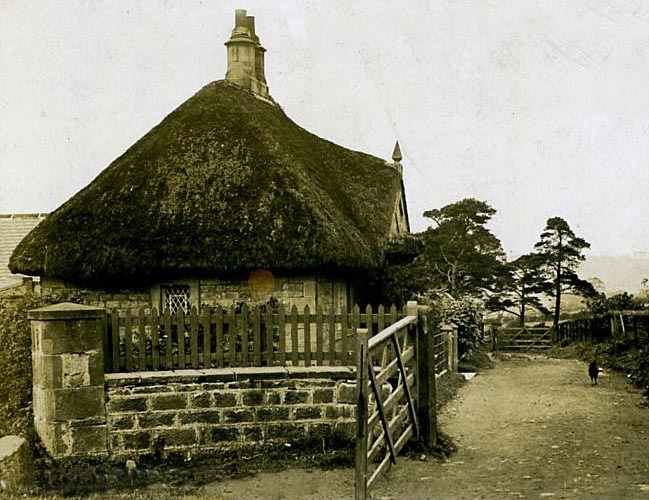 The homes in County Durham in 1810 were: ‘In general comfortable dwellings of one storey, thatched or tiled…’ They noted the rate for ‘Drawing straw for thatching’ at ‘four pence a threave.’ That’s 24 sheaves. 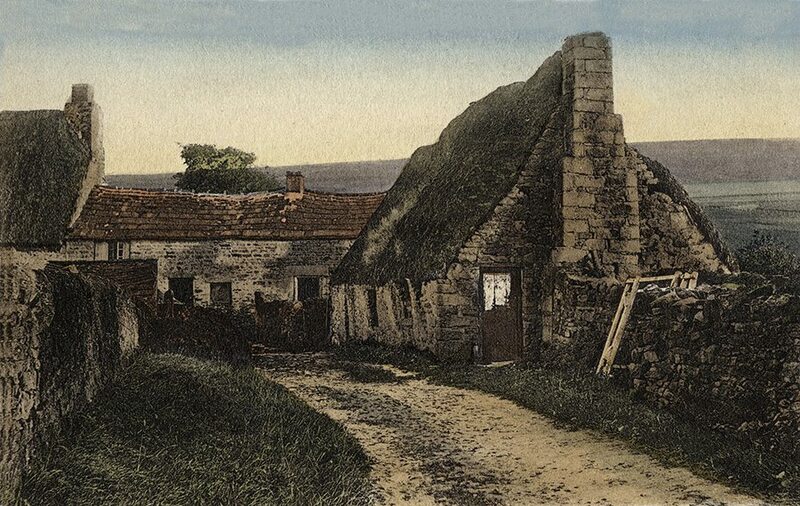 They found old thatched cottages, in the valley of the Tyne in 1797; but all the newer buildings were tiled. 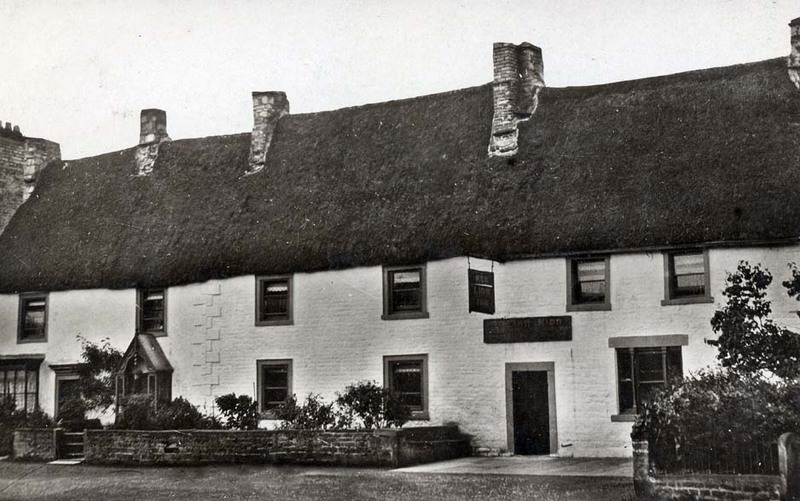 Northumberland 1818… This thatching bill relates to work at Acton, which lies near the sea, south of Alwick. The job appears to be covering a ‘thrashing machine’. At this time these were stationary and worked by horses; so the thatcher was working on the building, that housed this new technology… The bill also shows the nomenclature, used in the craft, in Georgian Northumberland. The ‘scrobs’ are thatching spars, which seem to have already been paid for. Each ‘Thrave’ represented 24 sheaves of cereal straw. 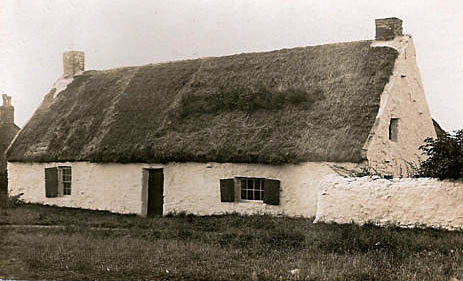 The ‘drawing and wetting’ (yealming) show that long straw was used. The ‘watling’, may represent wood for sways or liggers… The exact relationship between William and Foster Hogg is unclear, but Foster’s bill was one of five that William, was in turn, paid for; thus William may have been a builder. 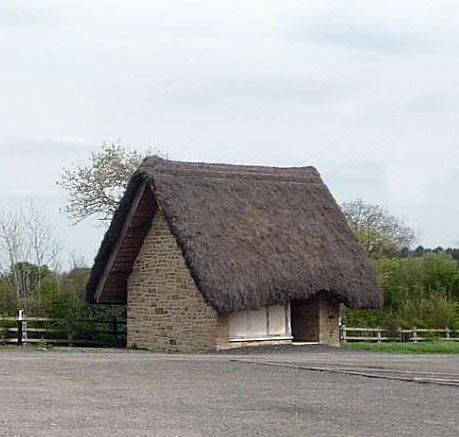 Startforth Rural District Thatch… This old North Yorkshire council became extinct in 1974; the area becoming part of county Durham. This included the Teesdale village of Cotherstone. 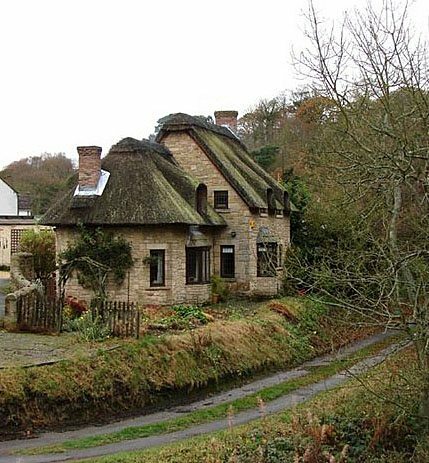 Which once included some thatch. 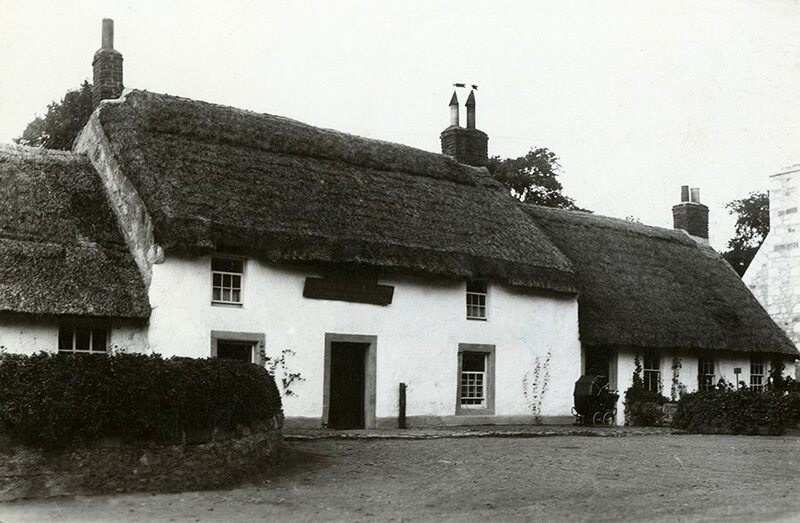 The top left image, from around 1900, shows a thatch at ‘The Green’. 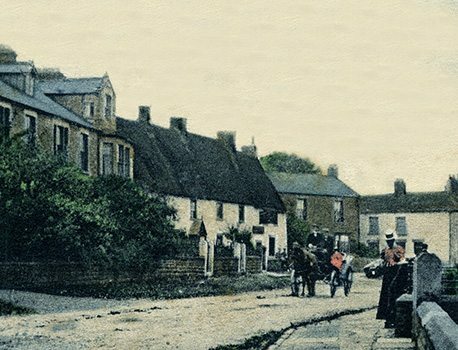 The top right scene depicts the still extant Red Lion pub, a close up of which is found in the opposite photo; dating to around 1920. The roof was it seems of heather, being removed in the 1930’s. 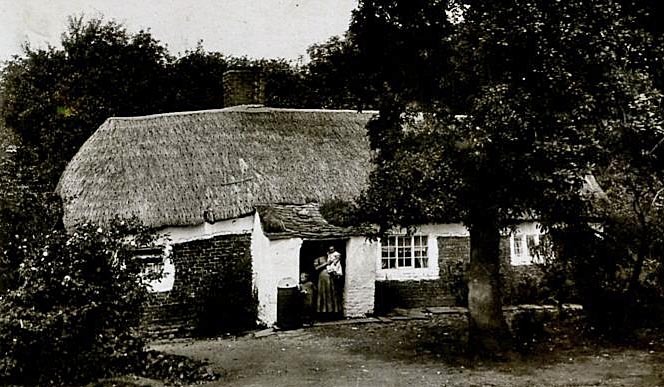 This cottage, at ”Saunders Lane Howick”, shows a thatch fixed with sparred on wire; similar to much rick thatching at this time, around 1900… The cottage is topped with a mortar ridge. 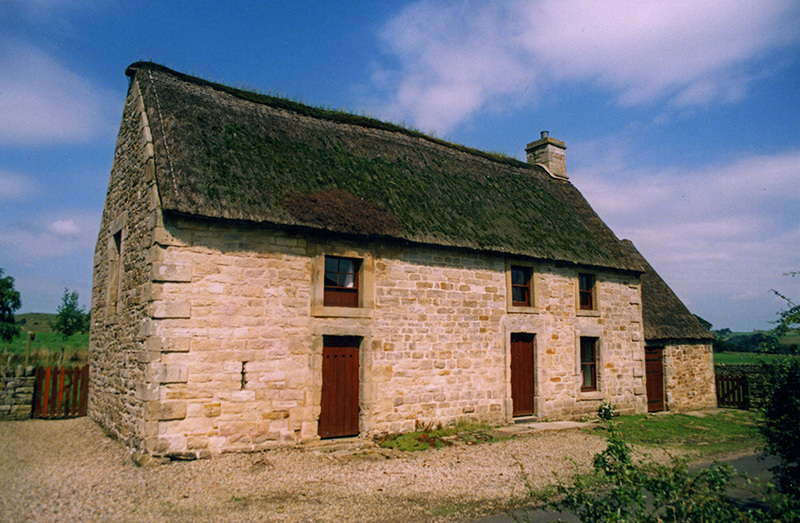 Near the Wall… These restored Northumbrian, heather thatches, lie close to Hadrian’s wall. Being constructed from some well shaped Roman stones. Both old roofs, spent decades under corrugated tin and have resurfaced only in the last few years. 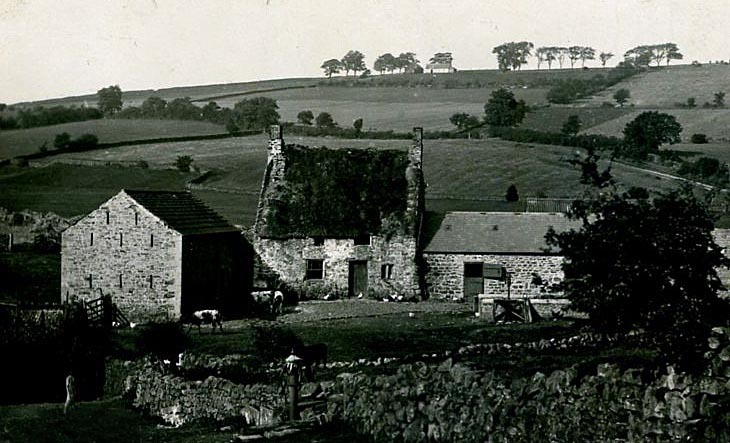 The left threshing barn is over three hundred years old, at Henshaw; the roof resting on four pairs of crucks. The upper cottage is a little later; having a 1770 datestone. Lying right on the wall, at Bardon Mill. 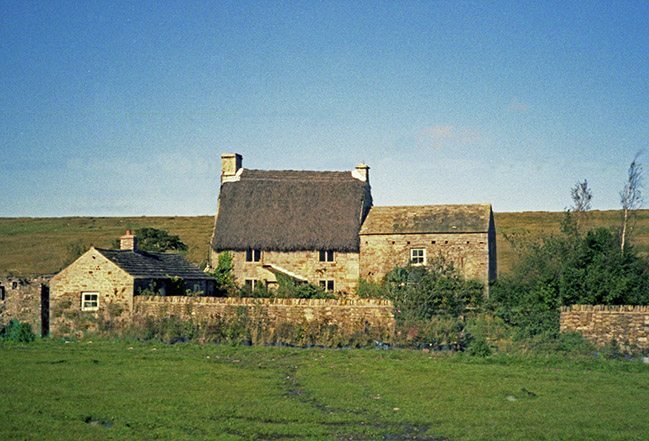 A rare image, of thatch on Lindisfarne… The craft here was mentioned by the Venerable Bede, who under the year 664 says that Bishop Finan, built a church on the island of Lindisfarne: ‘of hewn oak thatched with reeds after the Scots manner… But … Eadbert, a later Bishop…, removed the thatch and covered both roof and walls with sheets of lead.’ Cottages no doubt continued to be thatched… this one, on the right, partly with some heather.